By 2007 Indiana had eliminated its last state institution for people with intellectual and/or developmental disabilities (I/DD). Only nine other states, eight of them smaller than Indiana, had arrived at this milestone. These final closures were spurred on by a U.S. Department of Justice lawsuit alleging that conditions at the Muscatatuck and Fort Wayne developmental centers violated provisions of the Civil Rights of Institutionalized Persons Act. In 2012 and 2013, Indiana also closed I/DD units at four state psychiatric hospitals. "Oh gosh, I didn't want to live… I hated everybody that did this to me." n 1974 Governor Otis R. Bowen had signed Public Law No. 60 to repeal all remaining Indiana compulsory sterilization statutes. In some form, these were on the books for almost seven decades. Jamie Coleman’s involuntary and unknowing sterilization in Auburn, Indiana was challenged in a 1978 Supreme Court case. She was trying to become a mother when she discovered what had been done to her at age 15. It was devastating. "Oh gosh, I didn't want to live… I hated everybody that did this to me." 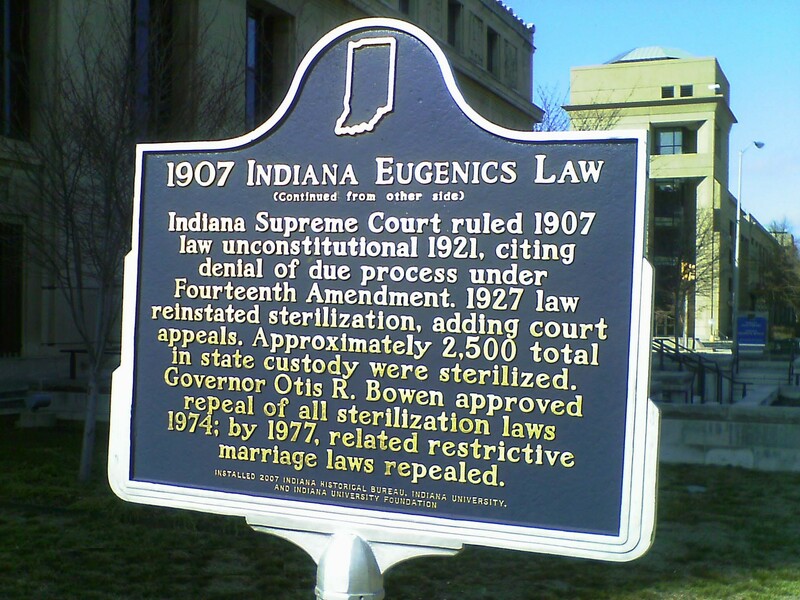 In 2007, it was Coleman who unveiled an historic marker in Indianapolis, part of the centennial observance of the state's notorious sterilization law. 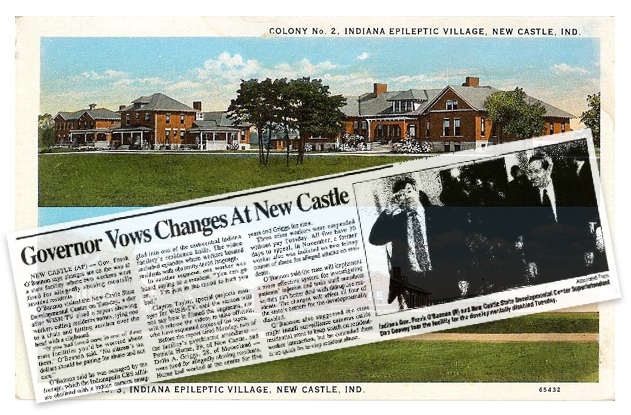 The Indiana legislature adopted a formal resolution condemning past eugenic abuses. There were at least 2,000 adults and children (a conservative estimate) who were forcibly sterilized in Indiana between 1907 and 1974. Although Coleman had never been institutionalized, her public gesture put a face on these individuals otherwise lost to history.